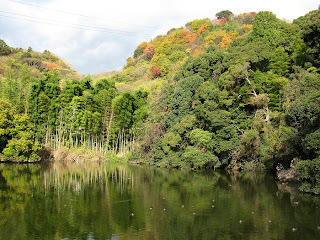 The next temple was #50 (Hanta-ji), backed by a wooded hillside still displaying autumn colors in mid-December. 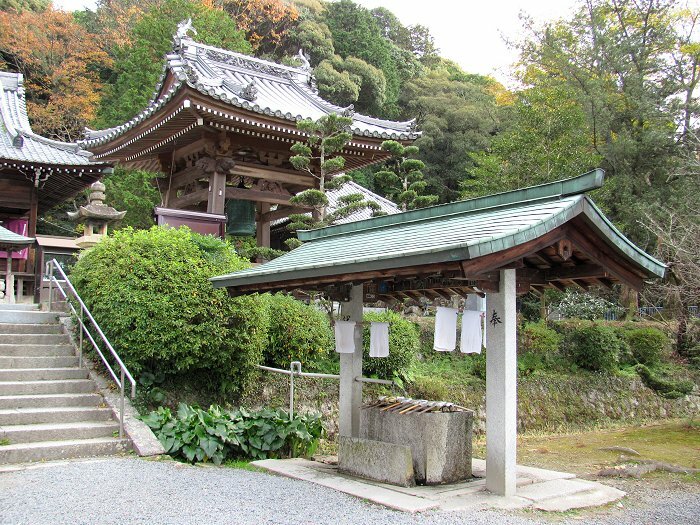 Its name means "Temple of Great Prosperity" but it's often referred to as the "farm temple." 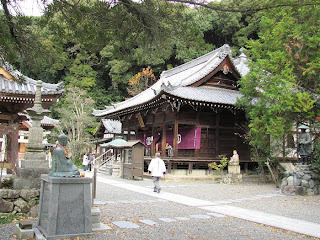 I thought Hanta-ji was a lovely temple. Here the bell tower (left) and a newly restored hall in the background. A family of pilgrims was at the temple during my visit and I enjoyed watching them make their rounds and chanting sutras before the various halls before heading off to the next temple. 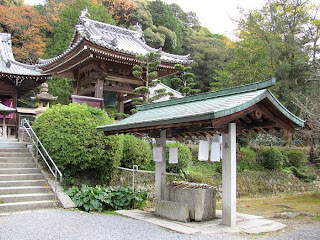 My temple "stamp" for Hanta-ji entered in my temple book which is called a nōkyōchō (納経帳). 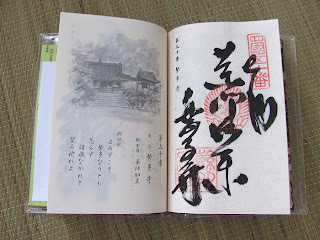 The calligraphy on the "stamp" is handwritten at the temple office. You pay about 300 yen to have someone enter the stamp in your nōkyōchō. 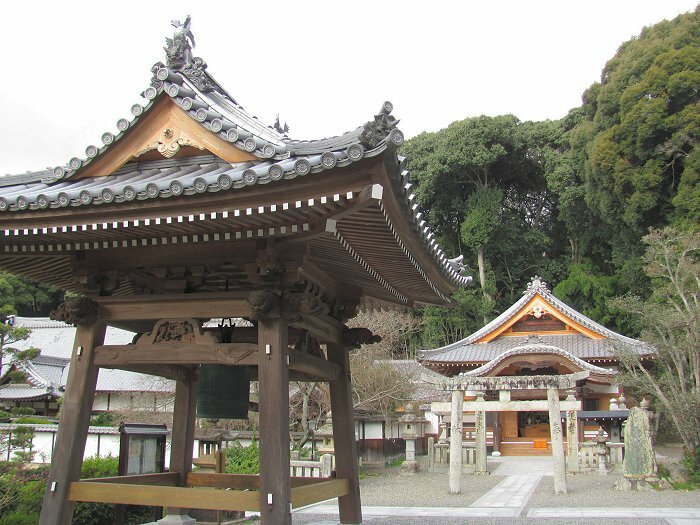 You can purchase a nōkyōchō at just about any temple for about 2,000 to 3,000 yen depending on how elaborate you want your book to be. I paid 2,000 yen for my nōkyōchō which was made specifically for the Shikoku pilgrimage...there is a page for each of the 88 temples on the pilgrimage route. The stamps in your nōkyōchō serve as evidence that you have visited the temple...so it's kind of like a passport stamp. A small pond and autumn colors graced the landscape just outside the Hanta-ji temple precinct.